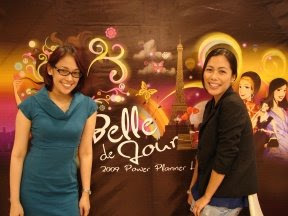 My friend Kat Dy is one of the fabulous women behind Belle de Jour, the daily planner specially created for Filipinas--it's packed with useful tips and discount coupons on top of the diary designed to make any girl efficient. I own one but I won't show it here because I write stuff on it that's a wee too personal! 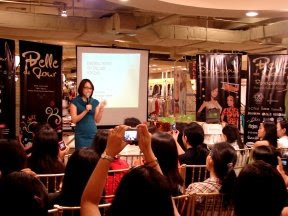 A few weeks ago, Kat invited me to give a talk to the BDJ girls. The topic was how to earn money online. I've been earning a few hundred dollars regularly with my online endeavors and Kat thought I should share some of my online money-making secrets. 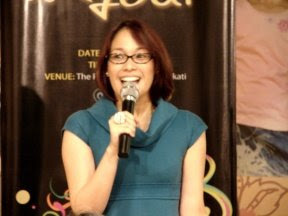 So last Saturday, I squeezed myself into a blue dress and nervously gave my little talk. I was nervous because of my dress! When you wear something you aren't comfortable in, your discomfort will most definitely show. And if you're about to step in front of a lot of people and talk to them, you want to focus on the talk and not on how your dress is pinching you everywhere! When my hubby saw my photos, he teased, "Ang lusog!" (How plump!") I wasn't offended--at a 111 lbs, I'm underweight, but when we met, I was a mere 90 lbs.--and swatted him playfully on the arm, but I'm glad I was talking about making money not giving diet pill reviews! I want to say that BDJ girls are smart, good-looking and very friendly and warm! 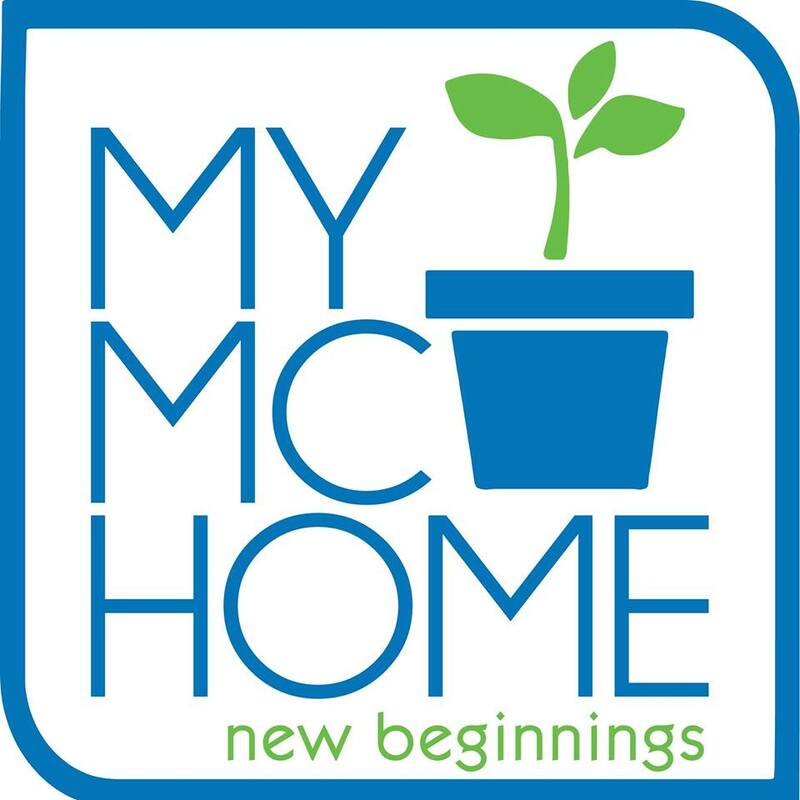 My nervousness melted away when I felt how welcoming (and forgiving!) they were of my fumbling about. 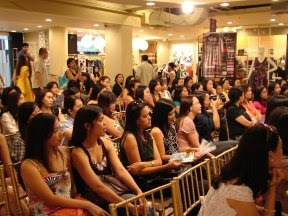 I met so many fascinating women that day--entrepreneurs, housewives, wives, mommies who inspired me to do more, more, more! Thanks, BDJ girls! You made me feel better and so I had tons of fun! 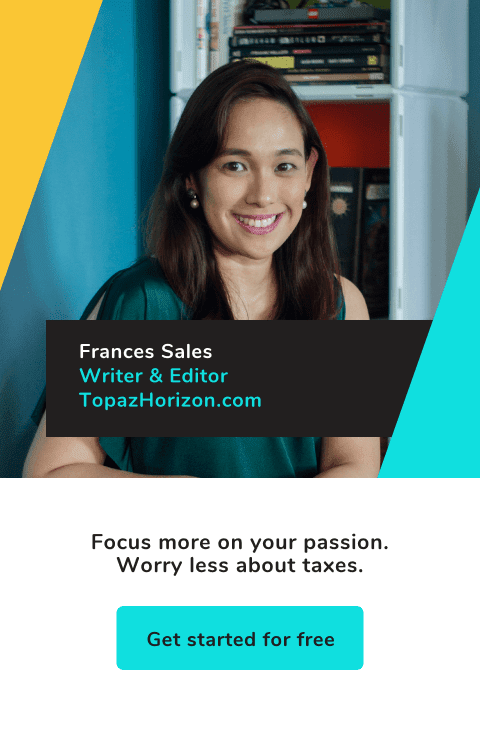 Congrats Frances! Any video link for the talk? 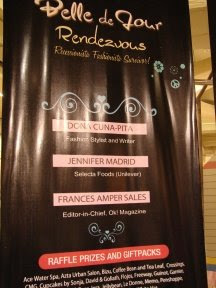 From the past BDJ Rendezvous I attended (Last year), this one is definitely one of the best. We super enjoyed your talk (Ms. Jean and Ms. Donna's too! )Hope you could enlighten more girls like us. Hi Ria M! No video! I'll do a post about earning money online na lang. TaniV, I haven't actually used my coupons. I keep forgetting to use them! I had tons of fun, too, Ria Hazel and AthensDLR! Blog away and blog with a purpose!